Complex interactions, often with feedback loops, can occur which affect the transient operation, performance and durability of machinery. In general these interactions aren’t strong and can be ignored, leading to simplification in the design and analysis process. Sometimes however the simulation of these phenomena is the only way to achieve the required system performance. PTL has the experience and capability necessary to understand when multiphysics modelling is required and to devise a program of work to model these interactions in the most expedited way. A fitting example of a multiphysics problem is the hydraulic operation of the engine poppet valves, which control the breathing of an internal combustion engine. The use of hydraulics to control the timing of the valve opening events results in improved engine fuel economy and emissions. These advantages however, can be only achieved if the system performs identically for all the engine cylinders. 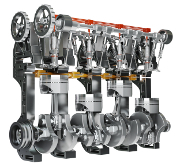 The hydraulic valvetrains are controlled through electromagnetic solenoid valves, which control the flow and pressure of the hydraulic fluid which in turn open and close the engine poppet valves. 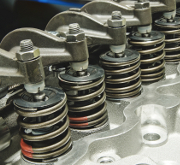 Tolerances in the components, pressure waves in the oil passages, mechanical vibrations and other factors can alter the opening and closing timings of the poppet valves from one cylinder to the next. Non uniform in valve opening timings can lead to increased engine emissions and require increased size catalysts, cost, engine mass and fuel consumption. 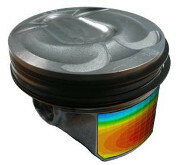 The use of multiphysics modelling techniques applied to all the engine valvetrains provides the means to understanding and quantify the important features of a successful design. 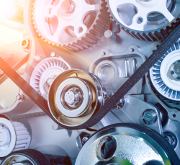 Our thermodynamics expertise was born from our work on advancing engines performance, efficiency and emissions, but can be applied to other systems and machines where the exchange of thermal, mechanical or chemical energy occurs. The commercial program GT-Suite is our main analysis tool, often complemented by our in-house software for specialist tasks. 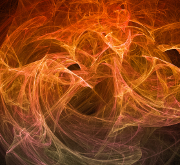 CFD analysis is performed using the Convergent Science software Converge. Although a relative new comer to the CFD market, PTL & its partner SwRI have been using Converge on client project work for many years including prior to it being a mainstream product. 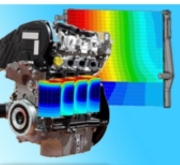 The analysis team at Powertrain Technology use 1-D engine performance simulation analysis at all stages of engine performance simulation & tuning project work. 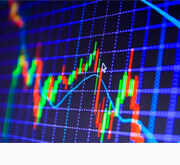 The analysis can be a standalone piece of work or be used to provide input data as part of a larger analysis. Typically GT Power is used to perform the analysis but we have extensive experience of alternative software packages such as Wave. 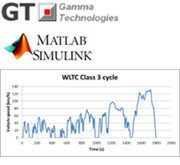 The PTL analysis group has extensive experience in the simulation of vehicle performance and fuel economy, performed either using in house software or the commercial program Gt-Suite. In the analysis all key component properties like efficiencies, tire radius, grade, curvature, road & environment can be accounted for together their evolution during simulation if required. Our modular approach allows the simulation of all vehicle sizes and architectures (car, truck, motorcycle, bycicle), using swappable modelling blocks. The merits of alternative transmission setups can be evaluated and ranked, being manual, automatic, dual clutch or infinitely variable. 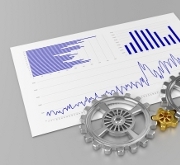 Key inputs for the analysis are the map of engine fuel consumption versus engine speed and load as well as the transmission efficiency in the various gears. Depending on the project needs PTL can generate these maps by either simulation, often using fast running models, or by suitably modifying maps from our database of test data. As an alternatively and when dictated by the need for more in depth analysis of interactions or transient operation, a fully featured or fast running GT-Power engine model can be run coupled with the vehicle model over the drive cycle. Scheduling of operating modes of Hybrid vehicle, where the timings and amount of stored energy to use, as opposed to relying on the internal combustion engine, need to be optimized over a drive cycle to achieve best fuel economy. PTL have developed a fast solving optimisation algorithm, for this class of problems, capable of identifying the optimal mode switching strategy and determining the maximum potential of each powertrain/vehicle configuration. 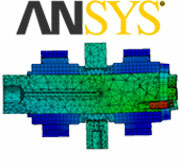 The analysis team can provide dynamic models of a range of drives for various applications. Previous experience includes design and implementation of FEAD and belt driven valvetrains for development engines, as well as the design and specification of drives for production intent engines. Crankshaft sizing for fatigue strength. This involves flywheel sizing and the tuning of Torsional Vibration (TV) dampers, if necessary.